Today, Ferrebeekeeper ventures far far beyond my comfort zone into that most esoteric and pure realm of thought, mathematics. But don’t worry, we are concentrating on topology and geometry only for long enough to introduce a beautiful, intriguing shape, the torus, and then it is straight back to the real world for us… Well, hopefully that will prove to be the case–the torus is anything but straight. 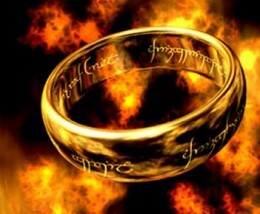 It is, in fact, very circular indeed, and, as we all know, it has at least one big hole in it…. 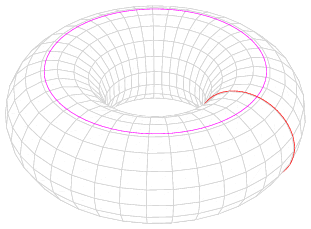 Wikipedia defines a torus as “a surface of revolution generated by revolving a circle in three dimensional space about an axis coplanar with the circle.” That’s hard for me to wrap by head around but the meaning becomes much more comprehensible in the following illustration. 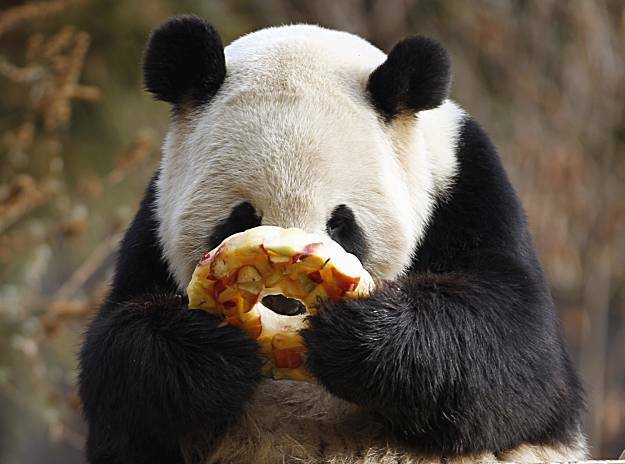 So a torus is a circle wrapped around in a circular path. You can find a variety of other ways of mathematically representing the torus here, but the simple definition suits our purpose. 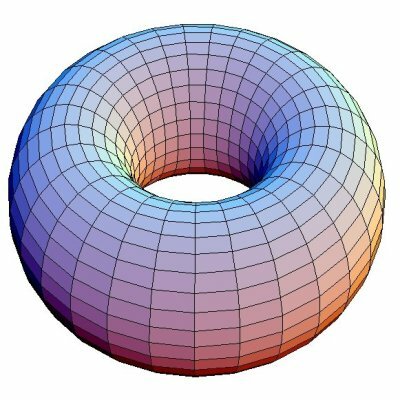 I admire torus shapes because I think they are very beautiful. Just as the golden ratio and the Fibonacci sequence are aesthetically appealing, there is a pleasure to merely beholding or touching a torus: ask anyone who has contemplated a ring, a golden diadem, or a cinnamon donut. Talk to an indolent adolescent sprawled on an inner-tube bobbing on the surf, and you will immediately grasp the hold that toroids have on humankind. In addition to its obvious aesthetic merits, however, there is a mysterious aspect to the torus, a hint at hidden dimensions, negative space, and infinity. Kindly contemplate the old eighties video game Asteroid (you can play the game here if you are too young to remember: amusingly, your ship is an “A” which reminds me of Petrus Christus’ enigmatic painting). If you pilot your ship to the far left of the screen you emerge on the right side of the screen: the flat screen represents a cylinder. However, to quote Bryan Clare from Strange Horizons, “the bottom of the screen is connected to the top as well. This has the same effect as if the screen were rolled into a cylinder, and then bent again to glue the two circular ends together, forming the familiar donut shape.” So, when you play asteroids you are trapped in a miniature toroid universe which appears 2-dimensional. Try to blast your way out of that! The following famous math problem further illustrates the nature of the torus. Three utility companies need to connect their respective lines (gas, water, and electric) to three different houses without ever crossing the lines. Connect each utility to each house. Don't cross the lines. The problem is impossible on a two-dimensional Euclidean plain and even on a sphere, however topologists realized that if you poke a hole through the plane or the sphere (thereby making it a torus) the lines can be connected. 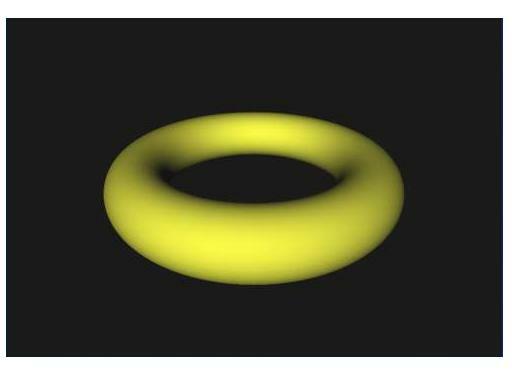 To finish the article here is a movie of a torus being punctured and turned inside out. The result is a torus of the same dimensions but with reversed latitude and longitude. It’s hard not to love such a funny shape. But it is hard for me to wrap my mind around the larger implications. I think I’m going to stop trying and head off for some donuts.